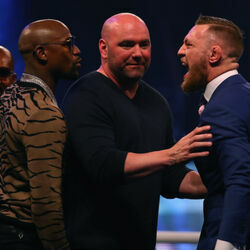 How much is Dana White Worth? 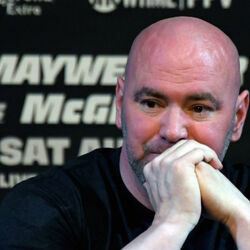 Dana White net worth and salary: Dana White is an American businessman and sports promoter who has a net worth of $500 million. 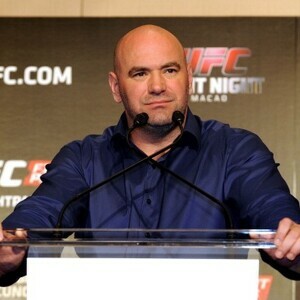 Dana White is best known for being the current President of the Ultimate Fighting Championship (UFC), a mixed martial arts organization. He was born in July 28th, 1969 in Manchester, Connecticut. He spent his youth going back and forth between Las Vegas and Maine. He spent much of his youth involved in sports and is a lifelong fan of the baseball team Boston Red Sox. He would even go to attend the University of Massachusetts, though he did not finish. While he was there he opened up a boxing program for at risk children in the inner-city. To make a living during this time he became an aerobics instructor. In 1992 he established Dana White Enterprises in Las Vegas, it was also during this time that he began managing fighters Chuck Lidell and Tito Ortiz. With his foot in the door as a manager in UFC he found out that Semaphore Entertainment Group, the parent company of the UFC was looking to sell the UFC. Luckily for White he had grown up with Lorenzo Fertitta who had made a name for himself as an executive at hotel and casino company Station Casinos. Lorenzo quickly saw the profit that could be made and he made a deal to buy the UFC. Lorenzo also invited his older brother Frank to get in the action. In total, the Fertitta brothers paid $2 million in 2001 for an 81% ownership stake in the UFC. They soon appointed White as president. In the years since buying the UFC White and team have taken the organization which used to be seen a barbaric and illegal and turned into a national phenomenon. Dana owns 9% of the UFC. In May 2016, it was reported that the Fertitta brothers were in advanced talks to sell the UFC for as much as $6 billion. At that valuation, Dana's 9% stake would have been worth $540 million. In July 2016, it was confirmed that UFC had been sold to talent agency WME-IMG for $4 billion. That's $360 million before taxes for Dana.